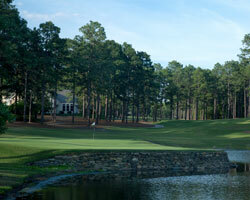 A Nicklaus Shot Making Test Among the Pines of Sandhills. 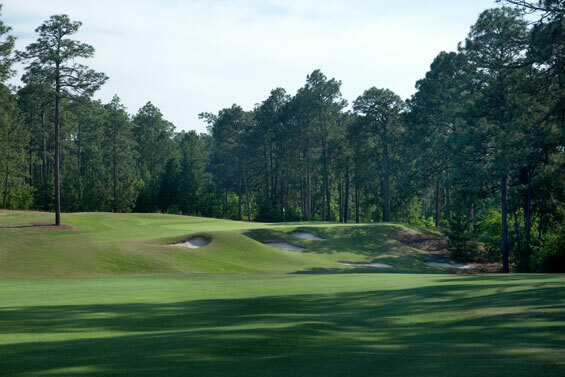 This Jack Nicklaus creation was born in 1988 as The National Golf Club but after it was brought into the fold by the Pinehurst Resort it has sequentially been renamed #9. Nicklaus demands that you bring your “A” game right to the first tee at #9 for the opening five holes will test every aspect of your game. Requiring equal parts length and accuracy, accompanied by a deft touch around the greens, sound ball striking is needed to conquer the sharp doglegs, elevation changes, forced carries and approaches to sloping raised green sites that will face you on these holes. The balance of the course is by no mean a push over but you won’t be faced with as difficult a stretch where power trumps finesse. The back nine is more typical of the Pinehurst landscape with narrower tree lined corridors dotted with waste bunkers and fewer elevation changes. A conservative strategic approach is the sound play on most of the holes excepting the 18th where Nicklaus once again tests your power and accuracy one last time before you reach the house. It was really tough to narrow down the shot maker's pick at Pinehurst #9 when there are so many here worthy of consideration. In the end I decided to add the opening and closings of each nine to the collection. However, honourable mentions must go out to holes 2 and 5. Stepping to the second tee, apply named Doon Carry, you must summon your inner Jack for all your concentration and focus will be needed to stripe your iron shot across the Doon Conservatory pond if putter is to be the next club used. No bail out area here for the left or long miss will leave a nasty chip down or across the sloping green towards the water. Short is wet and right is “X”. The fifth is a stand out par 4, perhaps the strongest hole on the course. The semi-blind tee shot needs to find the fairway long down the right side over the top of a rise to find the optimum approach angle to the green. 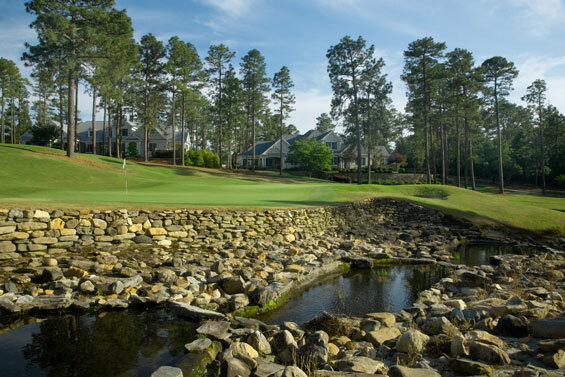 Club selection is tricky on the downhill approach as the perfect shot must carry a stone filled creek and Batton’s Wall which crosses shy of the green. The tiered green complex slopes towards the front left offering a backstop behind the pin, however, a bending downhill putt will remain. The course opener is a sweeping dogleg left par 4 that slopes gently downhill from the tee ball landing zone to the green complex which is perched atop a “Knoll”. The ideal drive will find the right side of the fairway avoiding the huge long leaf pines that line the inside of the dogleg. With no less than eight bunkers built into the side of the steep rise to the green care must be taken with club selection on the approach to carry the bunkers but keep the ball below the hole on this sloping putting surface. The front nine closer is a wonderful par 3. Played from the front tees at 95 yards or the back tees at 176 yards distance control is necessary to find the correct area of the green where the pin is located. Finding the wrong tier or plateau will make two putting a challenge. The back left corner of the green is a sucker pin location for the green is perched on the edge rock wall with a shear drop to the pond below that skirts the left side of the green and wraps around the back. If the rock wall guarding the left side of #9 made you nervous the rock wall protecting the green site of hole #10 will have you shaking in your boots. Appropriately named the “Fortress”, this risk/reward dogleg right par 5 sweeps around a lake which will capture the wayward right shot and gobble up any under clubbed approach. The prudent play is a drive down the left side followed by a mid iron lay up short left of the green leaving a 100-125 yard pitch to the dance floor. 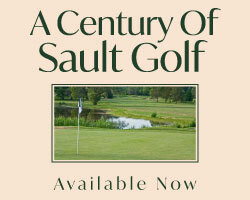 If eagle is your goal then a bold second shot must carry the lake and the rock wall to find the putting surface –anything short, right or long will have your reaching for a new ProV. 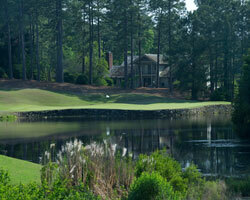 The final home hole is a beastly 460 yard dogleg par 4 that drifts right with a green site protected by water left. The big gun is needed off the tee to take the ball as far down the fairway as possible. A long iron or utility will be required for the approach which must thread a narrow opening to the green. The miss left, short or long will find the aforementioned water or green side bunkers while the bail out right will tangle with several sentinel long leaf pines that call right of the green home. 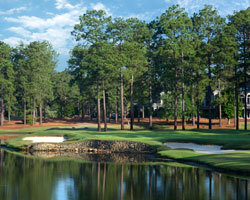 Pinehurst #9 is definitely a course that needs to be near the top of your Pinehurst must play bucket list!